Design and create an online, interactive tool that utilizes federal travel data to increase transparency and accountability. The U.S General Services Administration (GSA) manages a broad portfolio of key, government-wide operations and policies. In managing this portfolio, GSA has access to extensive government operations data – data which may hold potential solutions to some federal agencies’ most pressing problems. GSA’s Office of Government-wide Policy, sponsor of the Travel Data Challenge, is looking to bring a quantitative approach to the data the federal government collects in order to help agencies make smarter business decisions, and to allow them to drive greater saving and efficiencies. Pursuing this goal supports several of GSA’s highest priorities in serving our partners, including delivering better value and savings, and leading with innovation. In this GSA Travel Data Challenge, the public is asked to develop a technology-driven solution using GSA travel data that allows an agency to identify opportunities to reduce costs. As such, GSA challenges the public to create a tool using GSA travel data that could be replicated across government to every agency, using their own travel data. Sample data sets with GSA travel data will be provided. However, in order to solve the key purpose of this competition, challenge solvers should address how the tool can be replicated using travel data from other agencies. This tool is intended to show agencies where and how they can save money on federal travel. The tool is not intended to publicly display any agency’s travel data and users will need to log in via a certified username and password to interact with the tool. One of the key purposes of the tool will be to provide agencies with visibility into their travel spending and recommendations for cost-savings behaviors. In addition, the tool will enhance internal transparency and hold agencies accountable for their spending – steps which help to save money for American taxpayers. A second part of the GSA Travel Data Challenge asks the public to identify specific gaps in the travel data collected by the government, and to provide recommendations for how the government can improve insights into federal travel spending through additional data collection. The purpose for this information is to gain an understanding of what the government could do with additional data elements, if those data elements were to be collected by agencies. This will help increase awareness of needed improvements in data collection, and further the goal of leading greater transparency into government spending. Design and create a digital interactive tool that utilizes federal travel data collected by GSA, in coordination with any other publicly available data sets. The technology tool should be innovative! GSA does not want an analysis tool that tells what is already known. This should be a forward-thinking tool that enhances transparency and helps to hold agencies accountable for what they are spending on travel, while also providing agencies with recommendations for how to reduce costs. 2) Through analysis of the data, show primary categories or cost drivers that can enable federal agencies to reduce and/or contain official travel costs compared to appropriate benchmarks (as determined through research as well as the sample data provided). Focus on attributes that consistently result in the travelers acquiring the lowest cost of a trip. Use this information to benchmark historical data against real time planning and provide action items to help travel managers monitor and improve traveler behaviors, resulting in greater travel savings through transparency. Finally, identify valuable insights that could be gained through improved data collection efforts. Are travelers booking airline reservations far in advance to secure low cost airfare? How many days in advance are travelers booking their trips, taking into consideration industry standards and benchmarks? For example, is there a correlation between booking time and cost? Are travelers utilizing travel services, such as FedRooms®? With regard to data visibility issues, is key data being missed? Highlight where data is missing, e.g., where a traveler may have not used our existing systems, therefore, data is lacking. What data elements are missing that could be valuable to an agency travel manager or chief financial officer? How much could an agency save if they adjusted one or a set of cost-driving behaviors such as, time of year of travel, booking online, travel to certain cities during certain times, booking in advance? You are encouraged to conduct research in order to find other data sources that are publicly available. GSA may award up to three prizes but is not required to award all three prizes if the judges determine that only one or two entries meet the scope and requirements laid out for this challenge, or if the Agency plans to only use code from one or two entries. 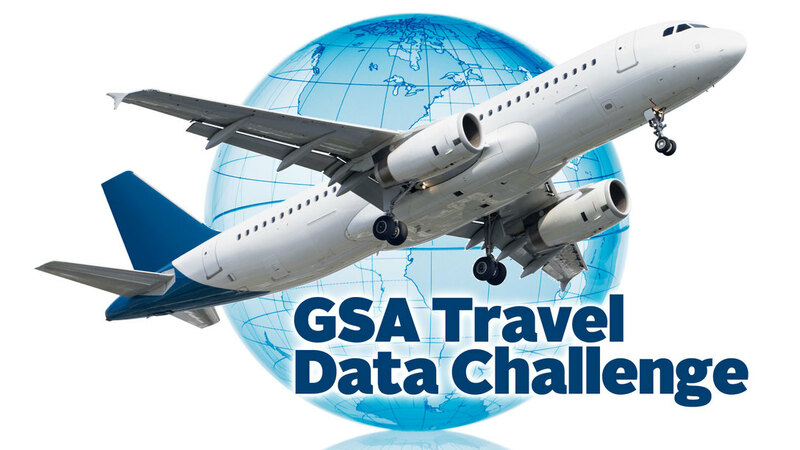 Funding for this GSA Travel Data Challenge award will come from the Office of Government-wide Policy’s FY2014 Budget and will be made to winner(s) of the competition via electronic funds transfer, within 30 days of announcement of the winner(s). Have agreed to the rules of the competition as explained in this posting. Are either a private entity or individual, provided further that in the case of a private entity, it is incorporated in and maintains a primary place of business in the United States, and in the case of an individual, whether participating singly or in a group, is a citizen or permanent resident of the United States; and that the participant is not a federal entity or federal employee acting within the scope of employment. An individual or entity shall not be deemed ineligible because the individual or entity used federal facilities or consulted with federal employees during a competition if the facilities and employees are made available to all individuals and entities participating in the competition on an equitable basis. Participants agree to assume any and all risks and waive claims against the Federal Government and its related entities, except in the case of willful misconduct, for any injury, death, damage, or loss of property, revenue, or profits, whether direct, indirect, or consequential, arising from participation in this competition, whether the injury, death, damage, or loss arose through negligence or otherwise. Participants also agree to obtain liability insurance or demonstrate financial responsibility, in an amount to cover a third party for death, bodily injury, property damage, or loss resulting from an activity carried out in connection with participation in this competition. Entrants are hereby advised that diligent care must be taken to avoid the appearance of Government endorsement of Entrant's competition participation and submission. Moreover, as is customary when doing business with the Federal Government, Entrant may not refer to GSA's use of your submission (be it product or service) in any commercial advertising or similar promotions in a manner that states or implies that the product or service being used is endorsed or preferred by GSA or any other element of the Federal Government, or that the Federal Government considers it to be superior to other products or services. The intent of this policy is to prevent the appearance of Federal Government bias toward any one product or service. Entrant agrees that GSA's trademarks, logos, service marks, trade names, or the fact that GSA awarded a prize to Entrant, shall not be used by Entrant to imply direct GSA endorsement of Entrant or Entrant's submission. Both Entrant and GSA may list the other party's name in a publicly available customer or other list so long as the name is not displayed in a more prominent fashion than any other third party name. The final product should be a tool that is housed online and can be updated to include data sets from other agencies. Capabilities should also include updating data in the most efficient time cycle, such as monthly, quarterly, annually or as new information becomes available. 6. The licensed software cannot place restrictions on other software that is distributed with it. The winner(s) of the competition will, in consideration of the prize to be awarded, grant to GSA a perpetual, non-exclusive, royalty-free license to use any and all intellectual property to the winning entry for any governmental purpose, including the right to permit such use by any other agency or agencies of the Federal Government. All other rights of the winning entrant will be retained by the winner of the competition. Any federal travel data and information that is publicly available is included in the scope of this challenge. Summary-level sample data will be provided. Allow for easy updates to the data. -As new data is collected later on by the Government, backend users must be easily able to update the dashboards to reflect these changes. 1. All travel data for one agency across topic areas- cities traveled to, dates traveled, extent of stay, cost of trip, annual travel costs, monthly travel costs, etc. Anyone intending to participate in the Travel Data Challenge can register by contacting Katherine Pearlman via katherine.pearlman@gsa.gov. Upon registration, you will be sent the sample data sets to use in solving the challenge. See "Rules" section for complete description. See "Rules" section for complete description and weighting.